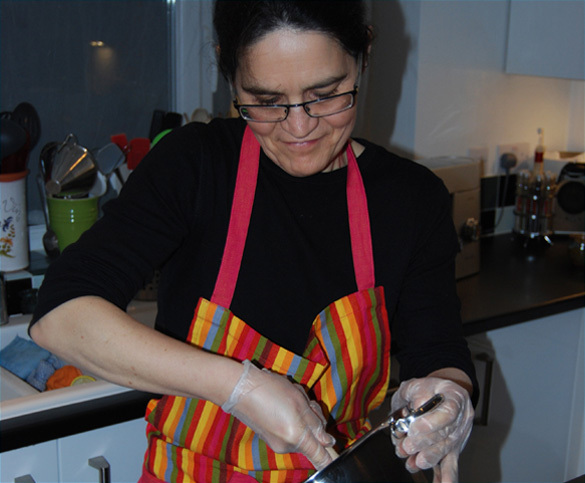 I started being interested in cooking when I moved from my parents' house to a student flat in Granada (Spain), where I went to university. I have had the chance to live in several countries for the last 9 years, which has given me the opportunity to discover different cooking styles. When we moved to Lyon (France), a great city for food lovers, I fell in love with macarons - those beautiful, delicious and delicate little cakes. I was struck by the variety of colours and flavours I could see in most of the french patisseries, giving such a touch of elegance. I used to bring them to any family or social event I went to. Suddenly some of my friends started asking me to make them for their parties and special occasions.